A mile-high party to ring in the new year has landed SpiceJet in trouble with the aviation regulator. On December 31 last year, the private airline decided to celebrate the arrival of 2019 on board. The crew wore colourful wigs and carried pompoms while greeting passengers in their seats. What irked the Directorate General of Civil Aviation (DGCA) was a video on social media that showed passengers dancing on board a midair flight. The regulator has summoned the airline officials seeking an explanation. “We have taken cognizance of a video of an incident inside SG 282 flying from Amritsar to Goa. In the video, it is seen that while the aircraft was midair, many passengers were moving around the aisle dancing, clicking photos, and even posing with the cabin crew. This is a violation of cabin-safety requirements,” said a senior DGCA official. Explaining the violation, the official said frequent movement of passengers may impact the centre of gravity of the aircraft. “Use of cell phones to take pictures midair is also a violation of safety rules,” the official added. The regulator is probing whether crew members joined in the celebration and if it was an incident inside only one aircraft. “We have summoned officials of SpiceJet. If it is found that the cabin crew also participated [in the celebrations], suitable action will be taken against them. The responsibility of the crew is to ensure cabin safety and discipline,” he said. SpiceJet said no protocols were violated and the airline crew did not participate in the dancing. “On one specific flight, during cruise after completion of service and prior to the seat belt sign coming, on we got some of our cabin crew members to greet passengers while walking down the aisle. The people seen dancing are passengers who got momentarily carried away. Our crew immediately requested the passenger to be seated. The captain also put on the seat belt sign and appropriate announcements were made. 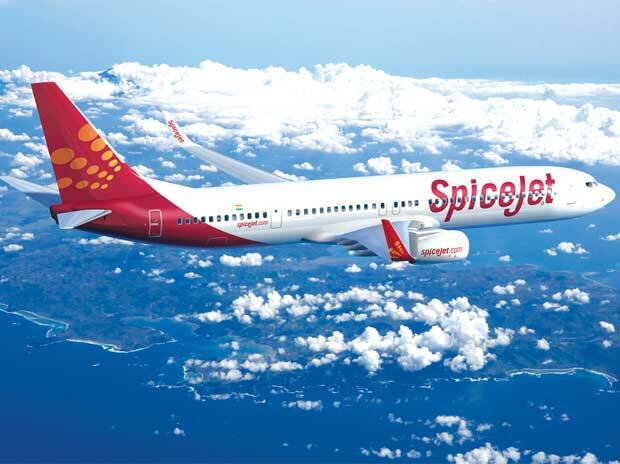 We would like to clarify that the video was shot by a passenger and not by the crew,” a SpiceJet spokesperson said. This is not the first time that the regulator has taken a strict stance against a midair bash inside an aircraft. In 2014, the DGCA had sent a showcause notice to SpiceJet for holding a 10-minute dance show inside an aircraft. In 2016, the regulator had also grounded the crew of Jet Airways after singer Sonu Nigam was allowed to perform midair over the public announcement device inside an aircraft. “We are not going to allow any activities that threaten the safety of the passengers and hence no permission will be granted to anyone wanting to hold activities that are not well described in the rule book,” the DGCA official said. Midair bashes, however, are common as airlines regularly use them to attract flyers and improve their brand image. Airlines such as Finnair and AirAsia have conducted dance and birthday celebrations onboard their flights. Even in India, Air Sahara and Damania Airways also used to hold shows onboard in the 1990s, said sources in the industry.